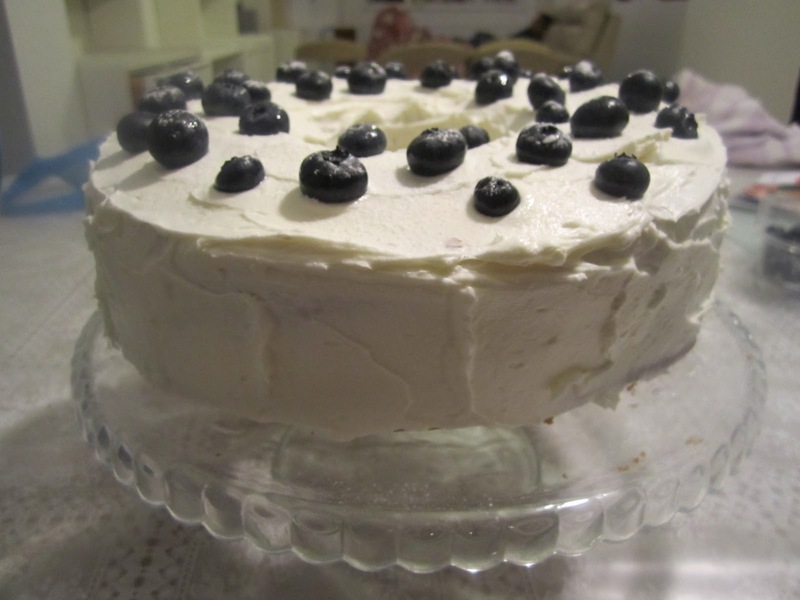 This one is again adapted from the Hummingbird bakery cookbook. You can find the recipe here. I have added yoghurt instead of sour cream just because I always have Greek yoghurt in the fridge. 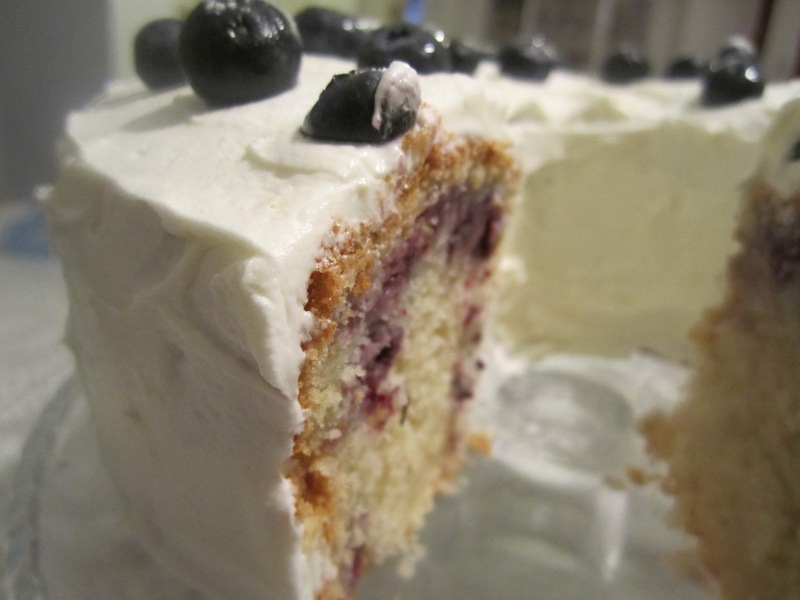 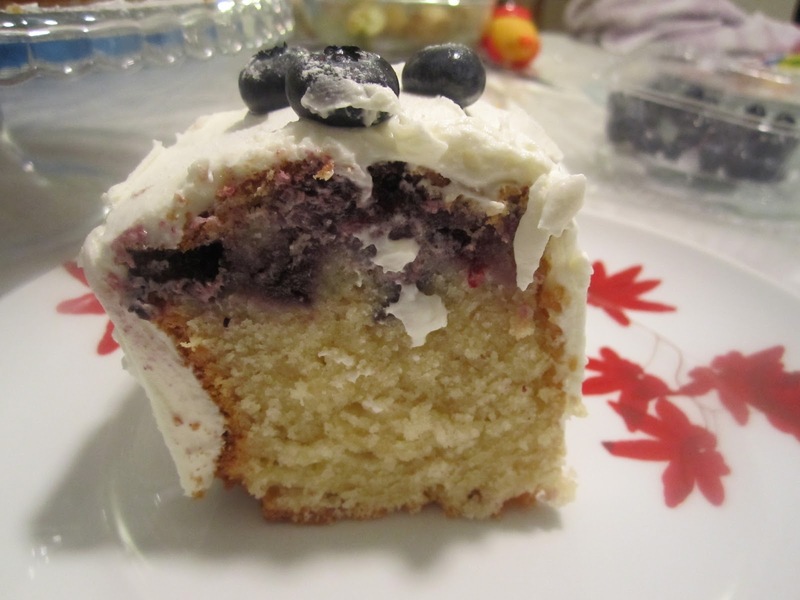 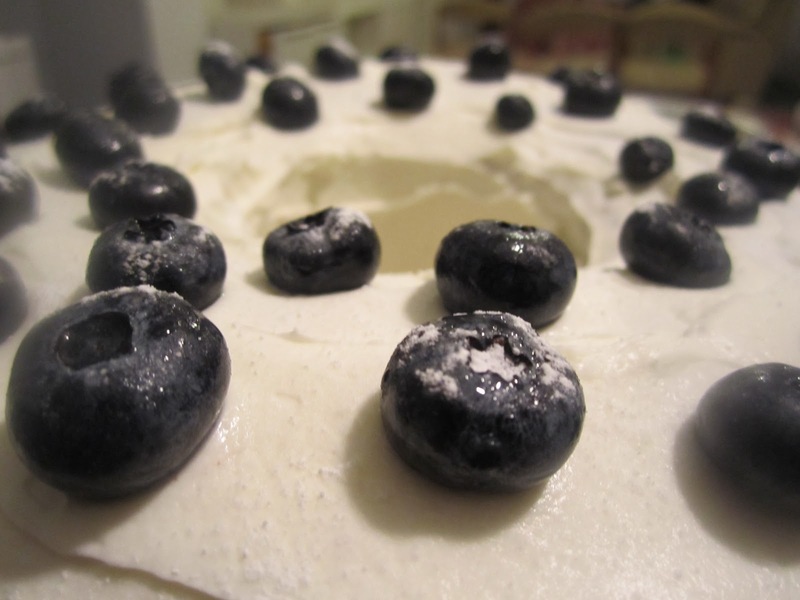 It’s a dense rich plain cake studded with blueberries at the top and covered in a sweet tangy cream cheese icing. Make two thirds of the batter if you have a 23 cm ring tin as I do. 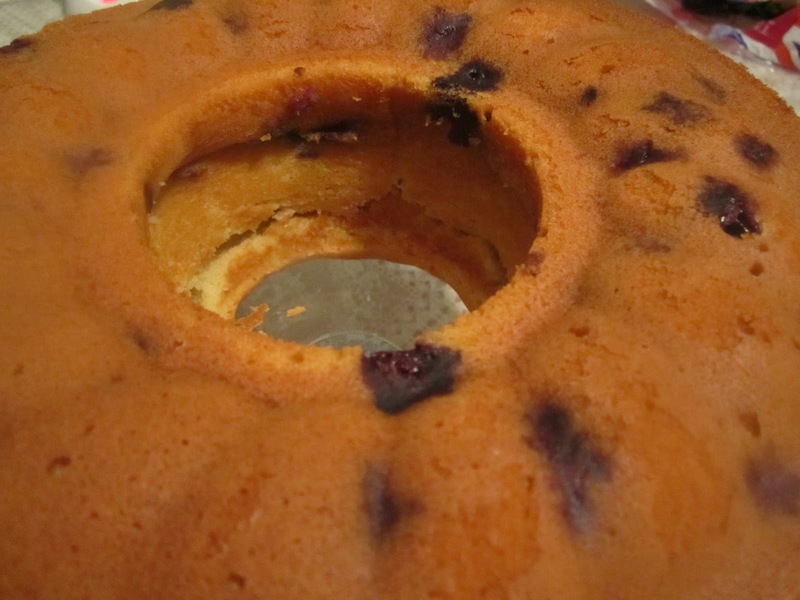 I made the full amount and it overflowed. 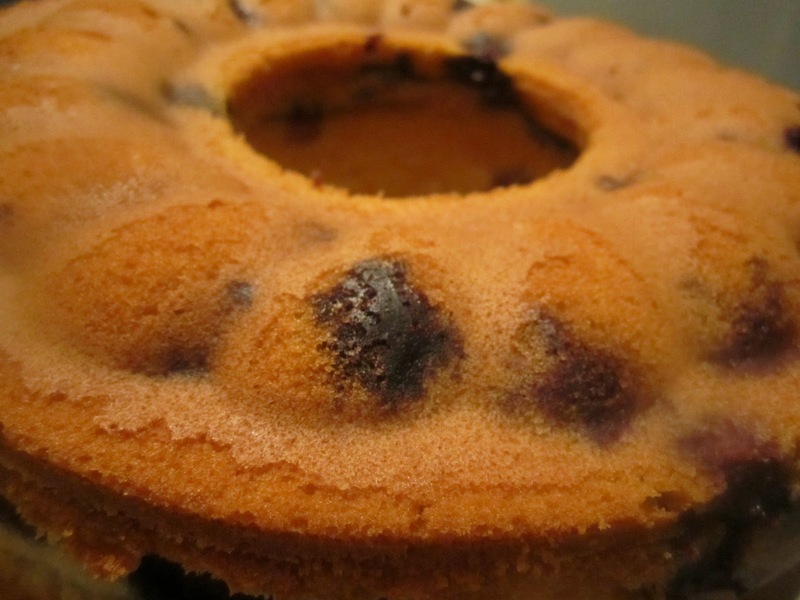 It’s a moist but firm cake, more tea time than pudding, really good with a cup of tea…. 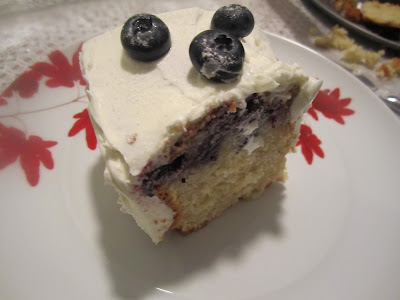 I loved the icing but for those of you without a very sweet tooth or just if you want a slightly less rich cake you could leave the icing out, it’s still quite sweet. And make sure as with most cakes that you have serve it at room temperature, I tend to store cakes with cream cheese icing in the fridge and will only leave cakes with buttercream icing out overnight once. 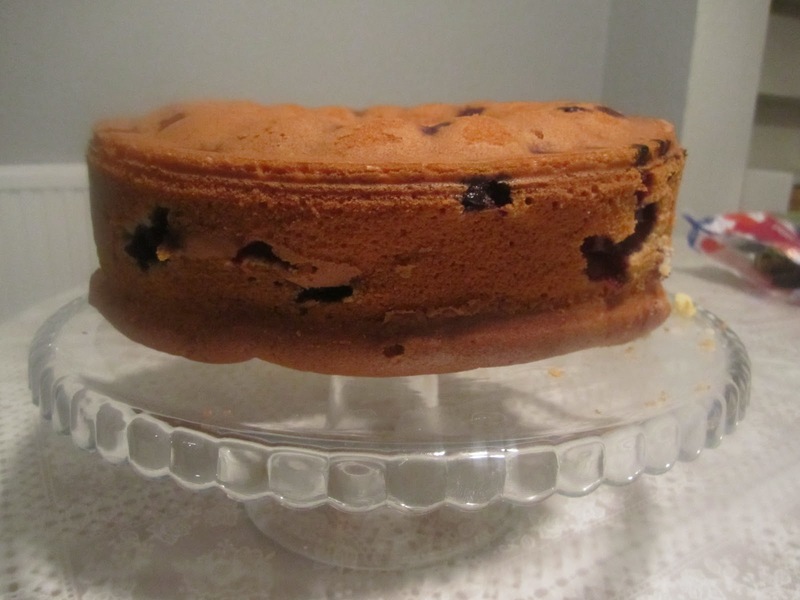 The cake is far too firm straight out of the fridge.